its time for new blog post. This time we have decided to write about very special country – Vietnam. Vietnam is home to the world’s largest cave, Son Doong. The Perfume River is so named due to the scent of the tropical flowers that fall onto the water during autumn. Vietnam, officially the Socialist Republic of Vietnam, is the easternmost country on the Indochina Peninsula. With an estimated 94.6 million inhabitants as of 2016, it is the world’s 15th-most-populous country, and the ninth-most-populous Asian country. The official national language of the country is Vietnamese. Legend has it that the peoples of this land originated from a union between an immortal Chinese princess and “The Dragon Lord of the Seas.” The country’s name was originally spelled as two words, Viet Nam. Their culture is a complex adaptation of Chinese, Japanese, French and American colonial influences. Internet services made their first appearance in Vietnam in 1997. Three years later, however, the Internet usage rate was still insignificant with a 0.2% local penetration. However, the situation changed drastically over the years. 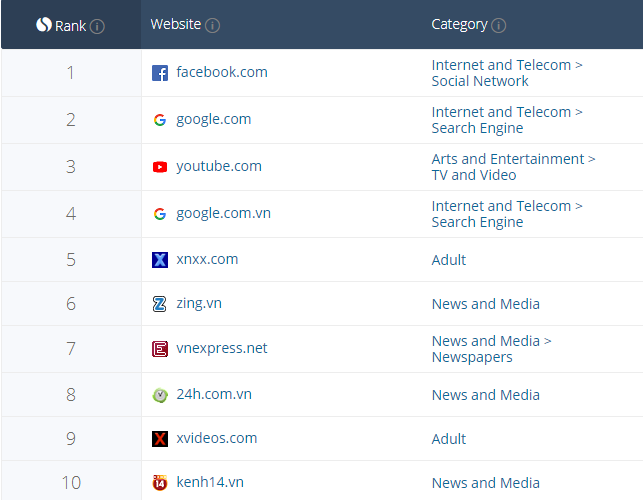 In 2017, approximately 50 million Vietnamese, or half of the population, were connected to the Internet. Despite its late start, Vietnam’s penetration rate (54%) in 2017 is now higher than the world average (46.5%). 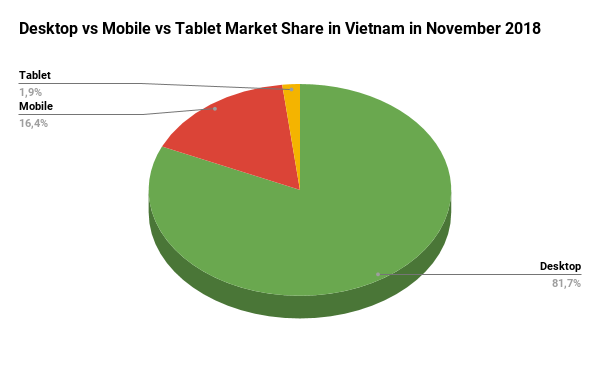 Desktop vs Mobile vs Tablet Market Share in Vietnam in November 2018 was: Desktop (81.72%), Mobile (16.41%) and Tablet (1.87%). 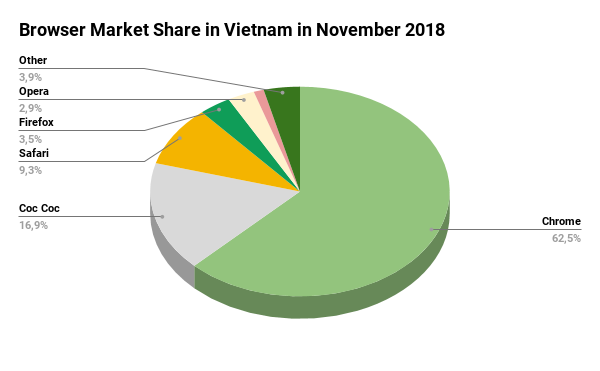 Browser Market Share in Vietnam in November 2018 was: Chrome (62.47%), Coc Coc (16.89%), Safari (9.29%), Firefox (3.45%), Opera (2.91%), Samsung Internet (1.09%), Other (3.90%). 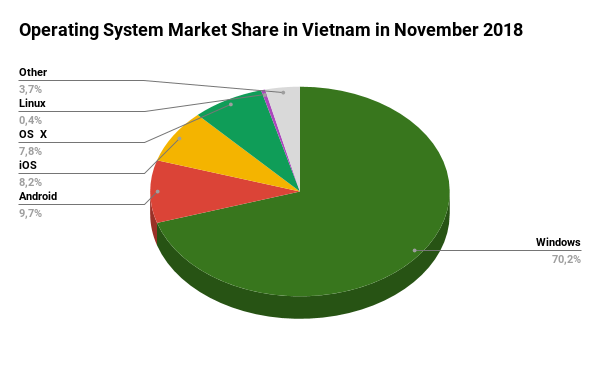 Operating System Market Share in Vietnam in November 2018 was: Windows (70.16%), Android (9.66%), iOS (8.22%), OS X (7.78%), Linux (0.44%), Other (3.74%). 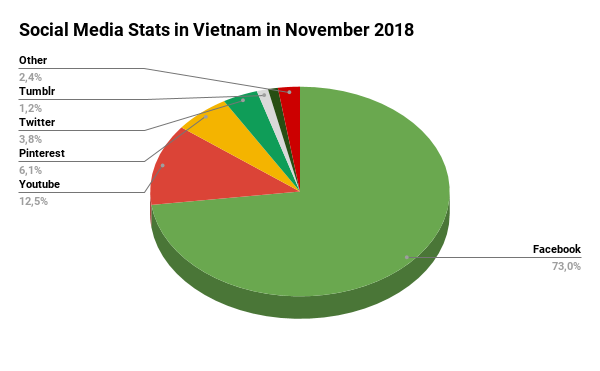 Social Media Stats in Vietnam in November 2018 were: Facebook (72.96%), YouTube (12.51%), Pinterest (6.07%), Twitter (3.81%), Tumblr (1.22%), reddit (1.07%) and Other (2.36%). According to researches Vietnam has one of the highest cash dominated economy in the world, with almost 90 percent of all transactions conducted in cash. With low banking penetration, lack of ATMs and cashless systems, complexities of digital payment systems, and lack of consumer trust, consumers are compelled to fall back to cash based transactions. With all this said, you don’t have any reason left for not promoting our COD offers for this market.